The iPad mini rumors were finally put to rest. Apple just announced the iPad mini, a 7.9 inch iPad tablet. The iPad mini packs the same 1,024 x 768 resolution as the iPad 2. The iPad mini runs on a dual-core A5 processor. The new iPad FaceTime HD camera and 5-megapixel iSight camera on the back lets your records 1080p HD videos. Like earlier iPad model and iPhone 5, the iPad mini features LTE wireless and the new dual-band 802.11a/b/g/n WiFi. As expected, the new Lightning connector is used with this iPad. Apple stated that device’s battery it’s made to last 10-hours. 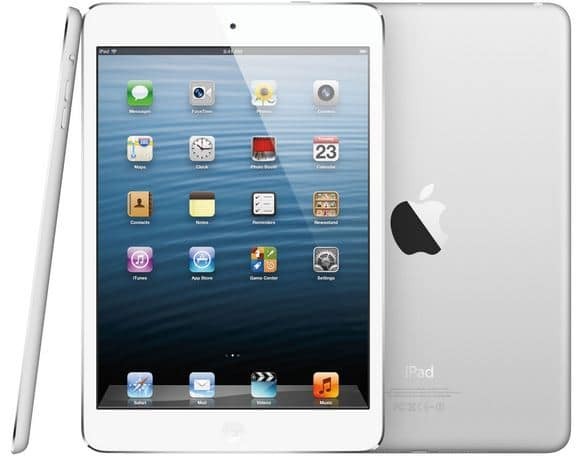 Price for the iPad mini will start at $329 for Wi-Fi only 16GB model, while $429 for 32GB and $519 for 64GB. The LTE models cost an additional of $130. Pre-orders will start the 26th and shipping will begin November 2nd.